Clayton Christensen (with co-authors Cook and Hall) uses this quote to point out that marketers must consider the ultimate value their product delivers to choose consumer segments rather than segment by features and function. He also notes that using feature and function to segment can lead to an oblivion of tiny, pigeon-holed markets. Christensen is absolutely right – marketers must focus on the value ultimately delivered to the customer. And yet, don’t use this quote as a good example of identified value. We should consider it, instead, a superb example of an error I find in too much marketing: the dash to over-simplification. Levitt is wrong to suggest the ultimate value of a drill is a hole. What’s missing is the process Christensen describes often in his books – a process that puts in the hard work digging to understand true consumer value. I know this because I’ve sold a lot of products that make holes in my career. From 2001 to 2008, my agency was the agency of record for the Drill Doctor drill bit sharpener where we helped sell 3 million units of a $100 product that sharpened a $0.25 drill bit. That’s a lot of holes. In 2006 we took on the Kreg Jig, a product used…to drill holes. This product simplified building with wood by making holes for pocket/screw joinery and was sold at big box retailers (Lowe’s and Home Depot) as well as wood specialty shops. Kreg Jigs make a lot of holes. And along the way, we’ve sold and researched the selling of all types of saws, saw blades, end mills, drills, power hammers, screwdrivers, sockets (and more sockets), wrenches, and more — to mass market consumers, advanced DIYs, automotive enthusiasts, handymen, and pros. Here are the important lessons about drills, holes, value, and marketing. 1. The Levitt Quote is Misunderstood: A “Drill” isn’t what you think it is. When Levitt said “drill” he was talking about a drill bit because that was the language of Levitt’s day. Today, machinists still use this definition. So when he talks about a “quarter inch drill” he means a drill bit with a diameter of a quarter inch. Yet even focusing only on drill bits the job they do isn’t so simple. Some are bought to drill precise holes. Some are bought to drill coarse holes quickly in order to complete a job more rapidly. Some drill in wood or cement. Some are disposable contractor supplies to be discarded quickly on the job (with clients billed for their cost). But let’s move on and use the modern mis-interpretation by letting “drill” be drill motors or drill/drivers. 2. People don’t buy drills wanting a hole – they want to complete a project. Holes are merely one part of building or repairing. And the project is one part of something more. A finished project delivers a personal, career, job, or family value that is important to understand. Smart marketers talk to consumers to learn about the job their product does in their life. In this case, the true value that their choice of drill delivers. 3. A drill’s value isn’t as simple as “a quarter inch hole”. It seems marketers wake up chanting a mantra of “keep it simple”. Unfortunately, the most common error I see in marketing and innovation planning is that things get simplified to the point where they are also wrong. Marketers must capture a product/category/utilization’s richness before choosing to simplify. And sometimes simplifying is the wrong idea. Tom Peters recently tweeted that we shouldn’t be looking to make the complex simple — but to make the complex clear. In my experience, the brands that make the complex understood build incredible market power. 4. Drills have many jobs and the hole often isn’t the most important. A contractor drills a lot of holes through a day without needing a particularly perfect hole – so it’s most important they have battery power that lasts. Yet a mechanic working on an expensive part needs to drill precisely the right size, type, and quality of hole. Electricians, homeowners, automotive, woodworkers, and roofers want other unique values from a drill. Successful innovation requires understanding this wide range of value then focusing where you can build market power. 5. 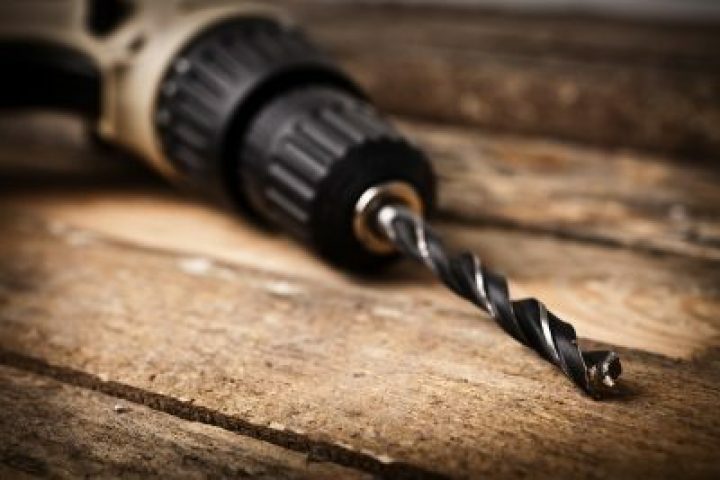 Most drills are primarily used to drive screws. Yeah. This mis-understood “saying” may not even matter today. Professionals and consumers alike are mostly driving screws. Turns out a drill motor is really powerful for driving screws. And that’s not just true for drills. We see a lot of drills, saws, hammers, and other tools used for things never envisioned in the design process. They are, after all, tools. 6. Drills may seem mundane, but they’re a rich area for innovation. I spent 10 years employed in tech and have done advertising with a wide range of established and VC-funded tech companies. Yet the most brilliant marketers I have worked with are often in the consumer hard goods categories. Why? Tech is the arena where distraction by features is most common (today’s IoT market is over-run with functions that don’t deliver value). Consumer hard goods marketers thoroughly understand the critical importance of understanding the product’s value and are quite sophisticated in delivering it. 7. Features and Function are Incredibly Important. A second downside (beyond over-simplifying) of this quote is that it encourages marketers to decide that feature and function are unimportant. That’s not what Christensen said. He spoke very carefully about market segmentation used to sort out innovation directions. In fact, sometimes features are the fastest way to communicate product value. Telling consumers that you had “Fluoride Toothpaste” in the 1970’s was worth hundreds of millions a year in sales. Communication had set it up so that the feature “fluoride toothpaste” meant an ultimate value of “fewer fillings”. Successful Innovation Requires Discovering Unexpected Value. It’s tempting to suggest that the key job of a marketer is to go learn what value purchasers “want”. But it’s not that simple. Steve Jobs observed that consumers can’t tell you what innovation to make. And he’s absolutely right. You need to talk to consumers – about their lives, about what they do, about daily frustrations, and about the things they own. But don’t think you can ask, “what product do you want?” and get an answer the uncovers your next powerful innovation. Smart marketers dig deeply into the value they deliver today and use research to find opportunities where innovation might pay out well. And that’s pretty fun. Because they discover unexpected innovations that build a powerful market future. And they only get there by avoiding a pre-mature “dash to simplicity”.